1. 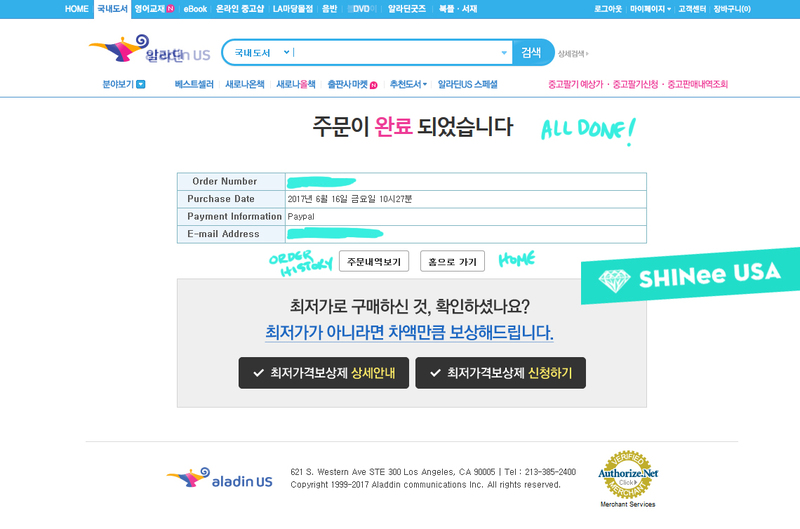 Make sure you are on the US version of Aladin (click here)! 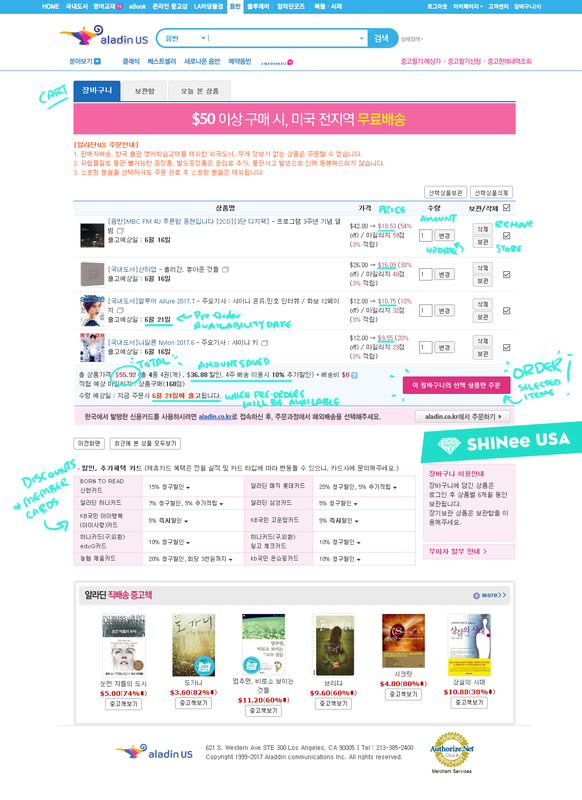 You may have to look up certain items like magazines by their Korean names. 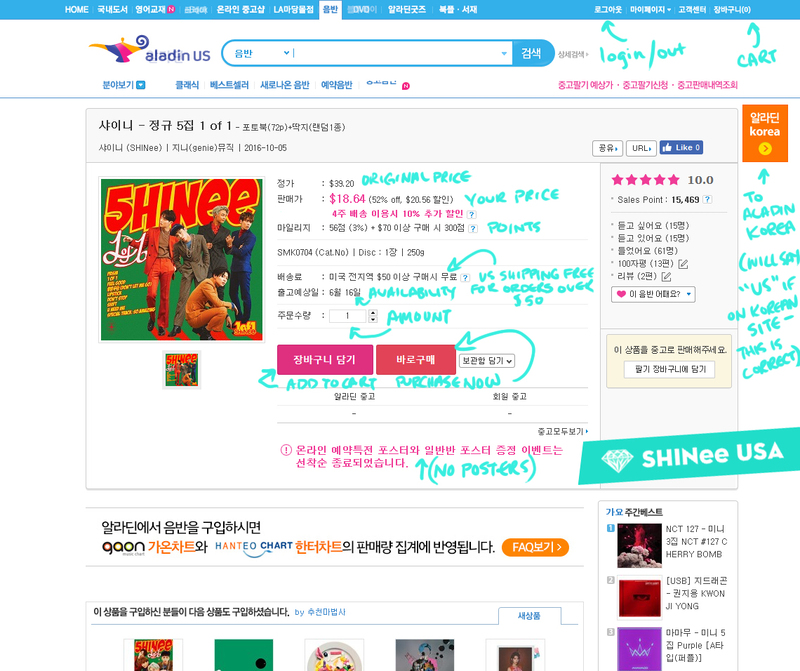 But for the most part, typing in “SHINee” will help you find a lot of albums without much trouble! 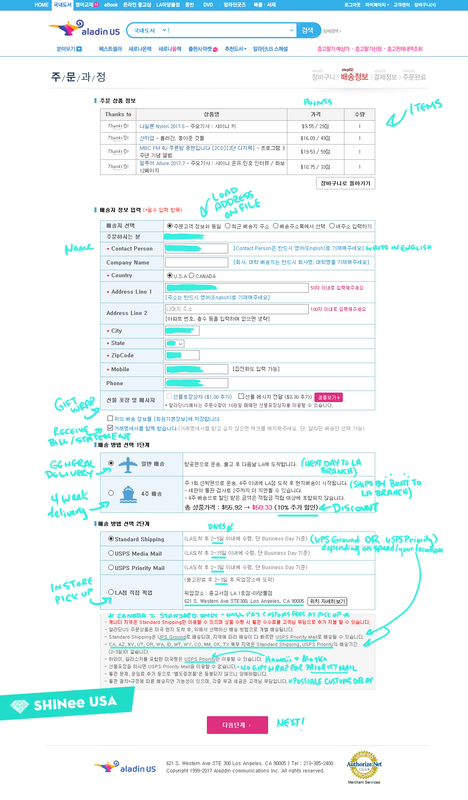 If you need further details on this, Google Translate will get you through a lot of the details of this. But for a basic breakdown, here’s what you’re looking at! Congrats! You did it! 😀 Your items are on the way! 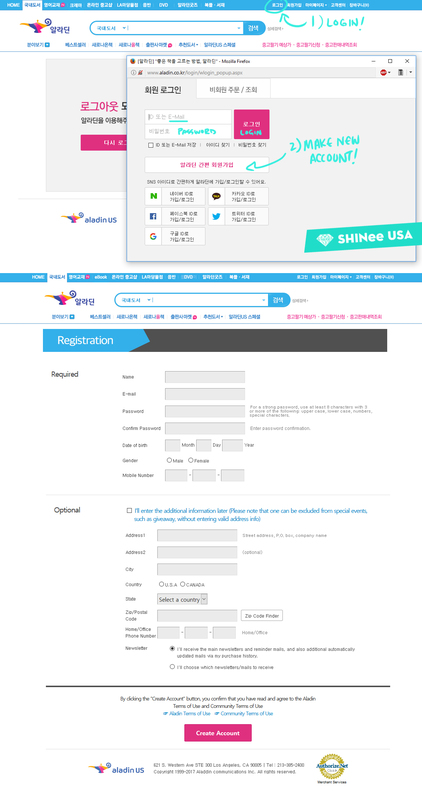 Hi, do you think you could tell me where the contact button is on the aladin usa website. I want to talk to them about poster options but idk how //: Thank you ! Hi~! I was told by another fan who regularly uses this service that unfortunately Aladin doesn’t sell posters with their albums.